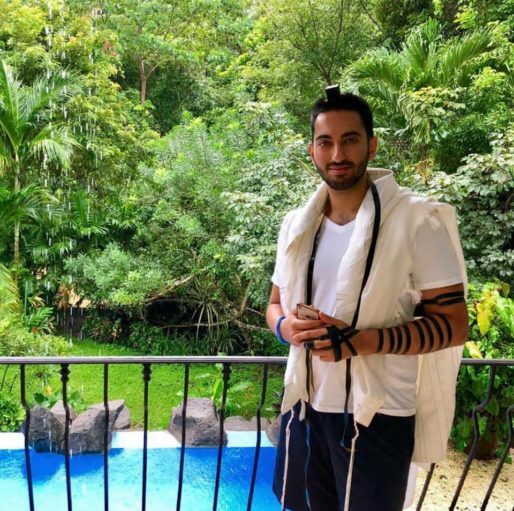 ”In Judaism, from this time of the year, we pray for “Mashiv HaRuach U’Morid HaGeshem,” “the One Who makes the wind blow, and makes the rain descend.” In Costa Rica where the rain is plentiful, we still have the thoughtfulness and intention to continue to pray for things we already have. We shouldn’t just pray for things we don’t have. We should pray for things we already have as well for the blessings to continue in our lives. “Mashiv HaRuach U’Morid HaGeshem.”” – @sammollaei — in Jacó, Costa Rica. NEXT POST Next post: CONDOLENCES: Victims of yesterdays terrorist attack in Israel, Kim Levengrond Yehezkel, 28 year old mother and Ziv Hajbi, 35 year old father.